Back in the good old days (late 1990’s) companies like AllAdvantage paid us just for browsing the web (and having a small window that covered the bottom of our screen and rotated ads). I made some money off these programs (I think maybe $100 from AllAdvantage), but due to abuses these programs turned down (folks found ways to automate the process of appearing as if one was using the computer). 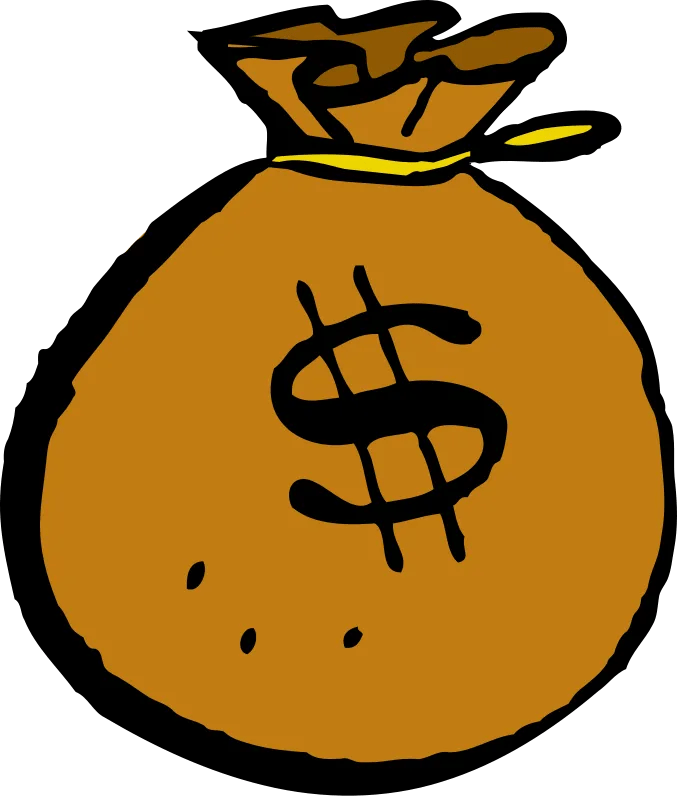 Bag of Money, image thanks to mcol and OpenClipart. Well, it looks like the good old days may be coming back to us – so get in while you can. Okay, honestly, I think at least this company has a more sustainable and less cheatable model. I actually think its a bit of genius and I expect them to do well – though some competitors might come onto the scene who will offer them a run for their money. What am I talking about? An Android application called Locket. If you have an Android smartphone (e.g. Verizon Droid, Samsung Galaxy, HTC One, and almost all smartphones that aren’t Apple iPhones), you can use this application. The concept is simple. When you turn on your phone’s screen to take some action (make a phone call, browse the internet, text message, play a game, write a note, check your bank balance) you are immediately presented with the “lock screen.” You may a swipe motion to “unlock” the screen – this “lock” mechanism prevents you (at least theoretically) from accidentally pocket dialing folks. Locket is a small Android application that “takes over” your lock screen. When you turn on your screen you’ll see an image (an ad). Its unintrusive, oftentimes interesting, and you can unlock like usual. Every (well almost every) time you unlock your phone, Locket gives you $.01. Granted, that isn’t much. You aren’t going to get rich off this program – but seriously, it doesn’t reduce your productivity at all and I actually find the lock swipe mechanism to be better than that included by default with my Samsung Galaxy S3. I’ve been using Locket for around 24 hours and have earn $0.18. Hahaha. Yeah, it isn’t much, but lets multiply that times a year: 365 * .18 = $65.70. It still isn’t much – but it almost covers a month with Verizon or AT&T of cell service and you are essentially being paid to do nothing. I don’t use my phone super frequently. I use it for more than most people do (e.g. note taking, medicine adherence monitoring, banking, health monitoring, and so on) but not as frequently as many (I hate texting and phone calls) – so I imagine that others might earn a fairly easy $150 a year. Nothing to sneeze at, imho. Thanks David! I’ll give it a try! Just wondering…how do you get the money? Does it get transferred to an account? It is deposited into a PayPal account for you. Next story Dave Enjoys Gets An Upgrade. Previous story A Useful Tip: How to Boost Your Laptop Speakers.